I was born in 9th of July in 1981 in the city of Zonguldak. The beginning of my photographical background started in the primary school and i harvest my first productions in the high school years. After my high school education coming 3 years of times I worked as a cameraman ATV Zonguldak Office, later that 3 years I have worked at Dogan News Agency in the Zonguldak area. In coming years I have moved my journalism to work in Anatolian News Agency for about 2 years in Zonguldak. I left my job at the Anatolian Agency due to my plans to change the city I live so I moved to Istanbul after I have got a job as a photographer in Galasaray Sport Club, I have worked in all fields of Galatasaray Sports Club`s media and in their magazines. Later I have served for my mandatory military service so than I have resign from my work. After I finished my service in January 2010, I started to work in Turkish Basketball Federation as a photograpy editor until these days. I have been awarded in different fields in my lives, nation wide I have been awarded 6 national prize in the photography field,1 award in print media, and have received 2 prizes while I was doing an athleticsm in my youth. From 1997 until 2013 have had 10 solo,15 mixed and 7 slide shows in the cities like Zonguldak,Canakkale and Istanbul areas. In Zonguldak area I worked as a photography educater for 5 days and from all fields and backgrounds of people attended to this workshops which I gave mostly on Documentary-Cinema. Between the years of 1998-2004 I gave lessons on Documentary Photography-Cinema and Photojournalism in the Ted College in Zonguldak. 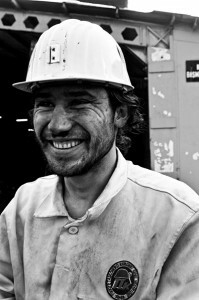 In 2005 I attend as a guest speaker to the “Young Photograph” seminary in University of Canakkale and at the same time with my Works on Zonguldak miners have showed in the 3. Photography Festival at the organizations.